In the last part (link), I discussed the benefits of the Three at the Back Defensive Unit. I showed the kind of players I have in my Dynamo Kyiv team that made playing with three central defenders, an attractive option. Mainly the importance of having two quick stoppers and a more creative ball-playing defender in the middle (a libero-type player without actually using a libero role). Initially, what pushed me towards 3-5-2, was deciding that to succeed in the “big” Continental and derby games (against our fierce rival Shakhtar) we had to concede as few goals as possible. Unfortunately, putting an extra man in defence, leaves less players available for the midfield to win the ball and send it up to attack. In order to counteract this, I needed to develop a strong unit of transition players good at retaining and passing the ball, and make our wingbacks more involved in the build-up. The players who make up my transition unit are two midfielders and two attacking wingbacks. The way I have my players lined up, it actually looks like a modified 3-5-2; essentially a 3-2-3-2 in its defensive shape (as you can see in the header image above). First lets take a look at our two midfielders, as understanding their roles within the system will help to show why I need my two other transition players, the attacking wingbacks, to be so attacking. 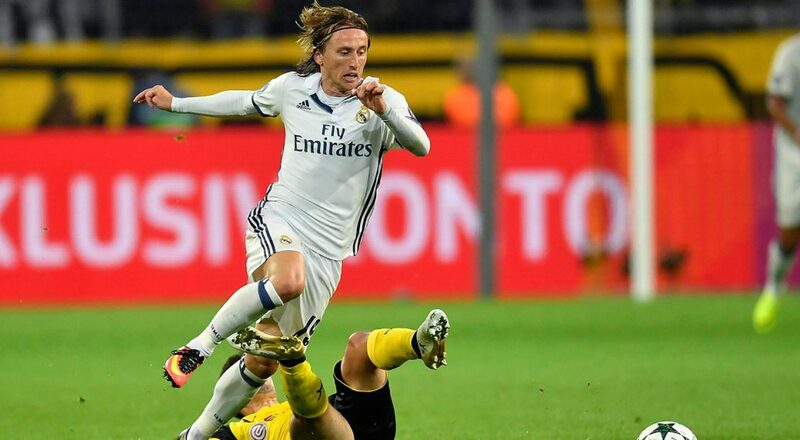 Luka Modric – Ballon d’Or winner and probably the best midfielder in the world right now. The perfect creative partner in any two men midfield. He attacks, defends and creates. In the midfield both players need to play a more conservative holding game while being very disciplined and confident on the ball. The aim is to stifle the opposition’s offence while dominating the possession, with two important role variations. It makes no sense to play two identical roles here. While my ideal midfielders needs be able to attack, defend and create, their roles need to differ to take advantage of their strengths in different ways. It is counterproductive to instruct the two players to do the exact same thing, especially in a two men midfield, but both still need to excel at passing and defensive coverage (decent positioning and tackling). So one of the two I set as a carrilero to use his defensive attributes more to intercept the ball and pass it short to his more creative partner. A carrilero tends to defend the wings more than a box-to-box midfield for example, so he fits in perfectly when operating with an aggressive wingback on the same side. His midfield partner I set up as a deeplying playmaker to do what playmakers do best, send the ball long to our strikers or wingbacks. The nature of his role will tell him to hang back and position himself more defensively to prevent counterattacks just as his partner will do beside him. The key here is for the two midfielders to be supremely comfortable on the ball. They are the two key players who are mostly responsible for winning and maintaining majority of our possession. So if their technical and mental attributes are not up to par then they risk losing the ball and allowing the opposition to break through. Dynamo’s strength actually lies in the midfield as they have very suitable players to succeed in the possession battle there. At 30, Garmash has aged like fine wine and is still an excellent box-to-box midfielder. I will play him as my carrilero. In this role he will hopefully play for a long time still, even as his physicals drop. Quickness is not as important for a carrilero as for a box-to-box midfielder, expected to move vertically between the lines. On the other hand, carrilero provides more careful defensive coverage by moving horizontally between central midfield and the closest flank. His creative partner, Mykola “Babyface” Shaparenko, is a player 10 years Garmash’s junior. After breaking into the first team squad in our first season, he rapidly proceeded to make a name for himself and is now an integral squad member. Below, you can see why. What he lacks in experience, he makes up in his two-footedness, excellent technique, agility, mental attributes, and shampoo ad-quality flowing locks. Keep selling those shirts, Mykola! But long hair is not the only thing he has in common with Modric, as he has the potential to become a top playmaker. While our midfielders are told to be more conservative, the wingbacks in contrast have to be aggressive and adventurous in order to complete our link up with the attacking trio. Here for the whole system to work, you basically need some of your best players. With the insurance of five players holding back in the spaces behind them, I can allow my wingbacks more freedom to act as dynamic offensive outlets on the wings. We cannot afford for them to hang back like simple fullbacks. So I started setting them both to either Wingback(Attack) or Complete Wingback(A) based on the opposition. I cannot stress enough how important it is set up the wingback position with the correct role. While I believe in tactical balance and careful possession-focused build up, you cannot go half-cocked and be too careful with this part of the transition unit. You need the right players and even more importantly the right roles. It is probably the most important position on the pitch and vital for my 3-5-2 variation to work. A fullback or a defensive wingback will not work here. The tactic will not succeed if the player is not supremely fit, able to bomb up and down the pitch in order to attack, defend, and most importantly create space for our strikers. If there is not enough movement and creatively on the wings, the whole formation risks being a failure. The midfield will be constricted and three attackers isolated without the right movement and passing options on the wings. As you can see in this image, the shape of the 3-5-2, while in transition phase, lends itself very well to creating a number of passing triangles and angles to help our players in keeping the ball and circulating it rapidly up the pitch. It is perfect for both maintaining possession and launching devastating counters. The beauty of Complete Wingback Role is its tendency to roam and play with a lot more freedom than a regular wingback. It really shines when you put a very creative, physically fit player there. Unfortunately, the players I currently have at Dynamo will unlikely let me see this role perform to its fullest. Although, a little trick that I noticed is that playing a creative inside forward with good technicals and mentals, like Dynamo’s Verbic, might give us an advantage in this position. As long as he can cross and pass. The roaming, marauding wingbacks not only provide crucial width by stretching the play and crossing into the box, but also have the vital playmaking link-up role in the final third where strikers can often get isolated from our midfield. Complete Wingbacks will drift inside and move into channels to draw defenders out of position. While doing all this they will provide strikers with passes and generally open up space for them. José Luis Gayà – Valencia’s golden boy. Ideal wingback in any 3-5-2 system. As complete a player as it gets. I started my Valencia save just so I could have the pleasure of using him. Using a complete wingback, the most creative of the four wingback roles and at its highest attack mentality, should create the effect of having an advanced playmaker on that wing, especially with the right player. When you have two such players running up both wings, the effect is simply sublime. In my Valencia test save, those players are Jose Gaya and to a lesser degree Cristiano Piccini. As you can see from Gaya’s attribute distribution, you need a pretty special player for this role to work really well. You will need someone who is both technically confident on the ball, and tactically disciplined. He has to be mentally composed and fit enough to dribble and put in a good cross or pass, doing it while moving at pace and being harried by opposing fullbacks or wide midfielders. Basically an all-rounder who will give his whole heart to the team in both attack and defence. It is hard to find such players. At Dynamo I do not have a Gaya yet, but I believe that with some adjustments my two veterans, Verbic and Tche Tche are capable to do well in this demanding role. Tche – One of the few non-Eastern European players in the squad. Might keep him for a while despite my house rule of only using former Soviet Block nationals. His attributes are so balanced as he can be used as a utility sub in wingback or carillero role. Pure class. You might wonder whether playing with such aggressive wingback roles is not a little reckless on my part? And of course it would be, had I used an aggressive mentality at the same time. It would probably lay me wide open, vulnerable to a counterattack by any half-decent team. So the trick is to use aggressive attacking roles while maintaining a balanced mentality. Not to say that my tactic is without risks, even on balanced mentality. 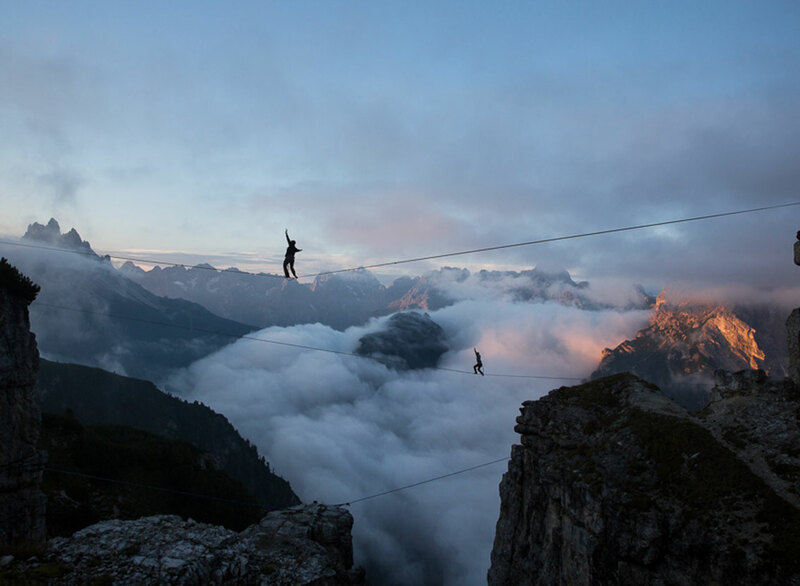 At times I like to compare it to walking on a tightrope. The combination of player roles in the midfield and wingback strata should allow us to keep hold of the ball and most of the time move it up to the strikers to finish. But is is usually a very thin line. High levels of intensity, especially on the wings need to be maintained for the whole match. The moment we take a step back, and hesitate, the possession is lost, and due to our high defensive line, only the keeper stands between the opponent and the our net. So in order to prevent this from happening, it is vital that we keep our wingbacks high while the midfield keeps solid shape behind. Offence is truly the best kind of defence, and I demonstrated above, the link up play between the attacking trio and our four men in the transition unit will only happen through the right combination of roles and attacking and supporting duties. When creating a tactic, I take a lot of time choosing the roles and duties for my players. It is the interplay of these that makes the tactic what it is. Not Team Instructions. As you can see I try to include as few TIs. As I test the tactic more, only then will I add a few specific TIs to refine exactly how I want my team to play. Team Instructions should only be added if it is something you can’t instruct via the mentality or role choice, e.g. the defensive line height. As you can see above, my transition phase instructions are few. One is to tell my keeper to distribute to a specific player (my creative ball playing defender because I always put an excellent passer here as I love the element of surprise and those long defence-spliting passes to our attackers). The only other instruction I use in this phase is Counter. I prefer not to use Counter-Press as I want my players to be more disciplined in keeping their defensive shape. I am using Urgent Pressing however. When it is combined with Counter, it will make my players more aggressive in seeking the ball when it is near, but not actively chase it and get out of position as a result. The beauty of my 3-5-2 is that I can easily tell it to go more attacking or defensive via a few simple variations in roles. It is all in the roles! I barely use any additional team instructions. All that I have to do for my midfielders and wingbacks to either drop deeper or advance further up the pitch, is to switch my carrilero to a box-to-box or my deeplying playmaker into a roaming playmaker and vice versa. While tired and leading by one goal at end of the match, my wingbacks can be told to drop deeper, by changing their roles to simple wingbacks on support or even defence. Even though there will be times when you might have to resort to using more defensive roles, most of the time this tactic will allow you to dominate in the midfield and wings even while using aggressive attacking roles on the wings and in attack. When it plays well, it plays really well. In my test save with Valencia, we were second in the least number of goals conceded with 3, while at the same time scoring 21 times. In the busy period between January and March, my Valencia side is now comfortably sitting 3rd in a La Liga, 10 points clear of Real Madrid. We also made it into the Quarter Finals of Champions League. Such results keep me excited to see how this tactic can be translated into my main Dynamo Kyiv campaign. If you followed this series from its first part, you will see that my Dynamo side mostly has the right players for this style of football. And as I will reveal in the upcoming, third part, our attacking unit has a serious bite, which will hopefully translate into good results. So thank you for reading and hopefully you have enjoyed it enough to wait for the concluding part – Step 3: The Attack Unit which will be coming soon! Follow Dictate The Game on Facebook and Twitter! Sorry for my bad English….You use something Player Instructions?